I woke up to some great news this morning while y'all Aussies laid your heads to rest, as Square Enix has announced that The Quiet Man (announced during this year's E3) will be released on November 1 for PC via Steam and PlayStation 4. 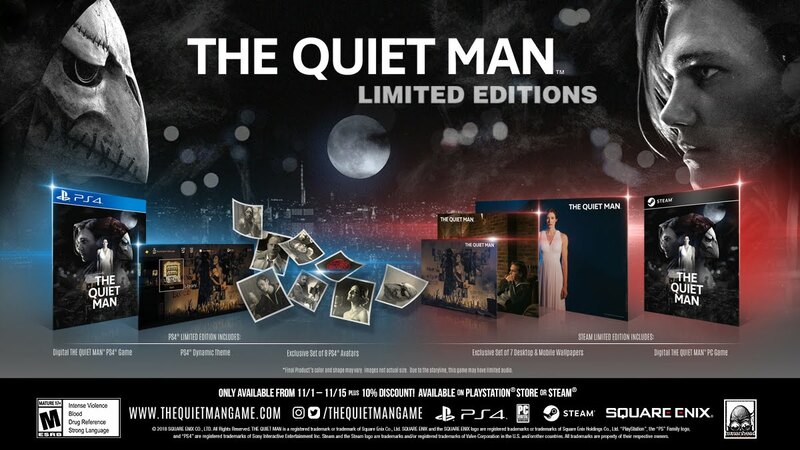 The Quiet Man promises an experience beyond sound in a single sitting, and darned if that isn't one of the more intriguing game descriptions I've heard in a long time. You take on the roll of Dane, a deaf man who is fighting to learn the reason behind a songstress' kidnapping by a mysterious masked man. The game isn't available for pre-order, but the above limited edition will be given to those who purchase the game on the PlayStation Store from November 1 to 15. You'll receive the game, a PS4 dynamic theme, and eight PSN avatars. Steam users who purchase in the same timeframe will receive the base game and seven desktop/mobile wallpapers. 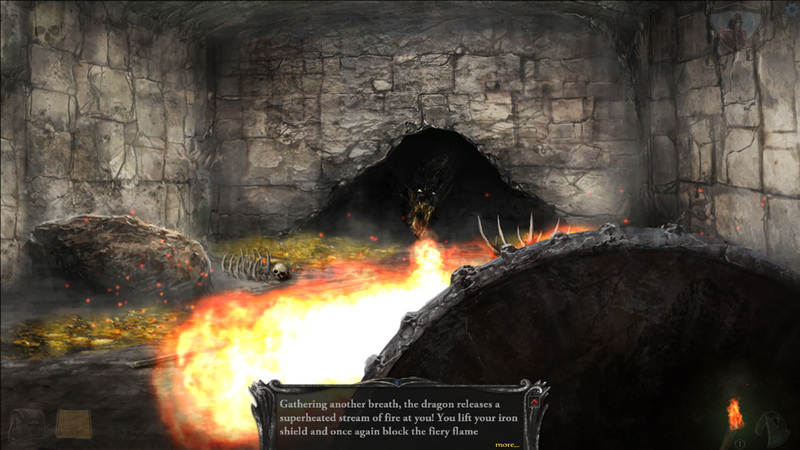 Shadowgate, from way back in 1987, is a genuine point-and-click masterpiece. It’s a game about exploring a castle of horror and terror, and its combination of devilish puzzles, rich setting, and easy deaths really delighted the imagination back in the day. In 2015, developer Zojoi remastered Shadowgate on PC and, later mobile, and while it didn’t quite set the world on fire, it was a very fine attempt to bring the classic into the modernity. And now that version is coming to PlayStation 4, Xbox One, and Nintendo Switch. Related reading: Our interview with the reboot's design director. For the console version we’re promised an improved interface, to go with the hand-painted visuals and modern cut-scenes. Real fans of the original need not worry, because “retro mode” brings back the classic musical score, as well as blending in some retro features with the modern elements. The game releases in fall, or spring for those of us in the southern hemisphere, so there’s not long to wait. 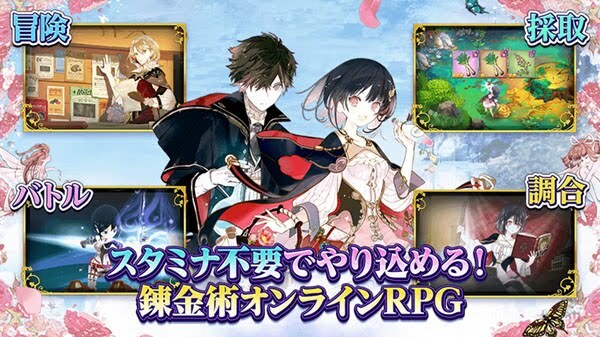 The first mobile title from Gust's beloved series is now available in Japan. Atelier Online: Alchemists of Braceir is available now on iOS and Android devices. The game is set at the Royal Academy, where students train... including you, on your path to becoming a great alchemist. Atelier Online promises a "complete" experience, with a grand scenario, quests, and requests. Several popular characters from the series make an appearance, of course, including Marie and Rorona. Atelier online is described as a free-form alchemy RPG, although I'm still unpacking that one in my mind. The time and weather influence monster availability. You're able to freely walk around. And there is a multiplayer mode that allows you to adventure with friends. Synthesizing remains the soul of the game, allowing you to create equipment and items with a simple system. 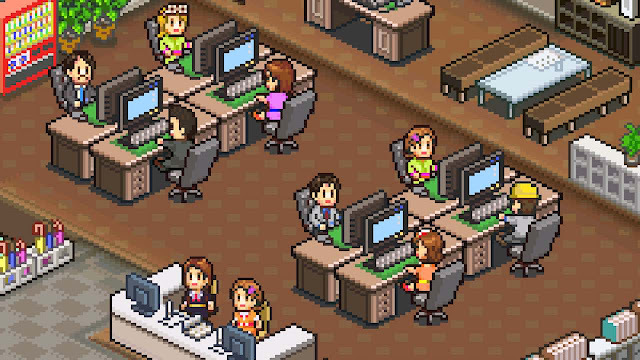 Kairosoft will be a familiar name for most of us who have dabbled in mobile games – it produces those super-cheery and super-cute simulators that are so incredibly easy to play… and so incredibly easy to get very hooked on. 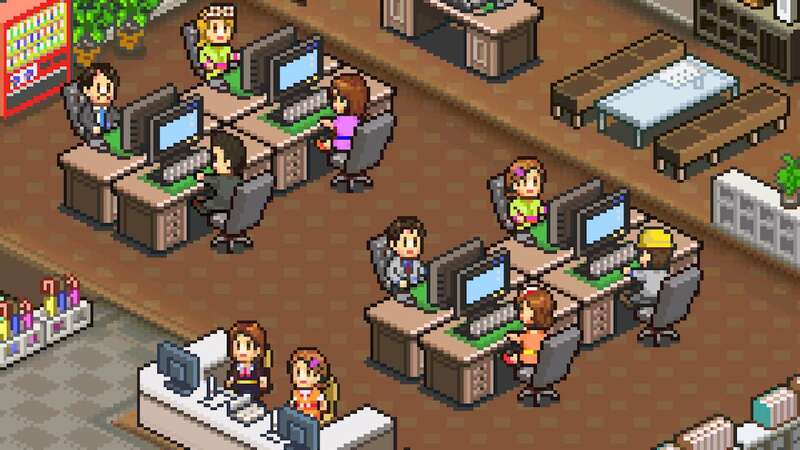 The developer/publisher has announced that three titles in its extensive catalogue; Game Dev Story (which really started everything off), Hot Springs Story, and Dungeon Village, would all be coming to Nintendo Switch. The names are pretty self explanatory – you manage a video game developer, hot springs resort, and you’re the mayor of a fantasy village that attracts heroes on the hunt for adventure, respectively – and all three of these are known as casual, but mighty, examples of their respective genres for a reason. All of these titles release on the Switch on October 11. Unfortunately we have no idea if there will be a western release of any of them. We sure hope so.